WHAT IS CONSTIPATION - WHY COLONIC IRRIGATION? 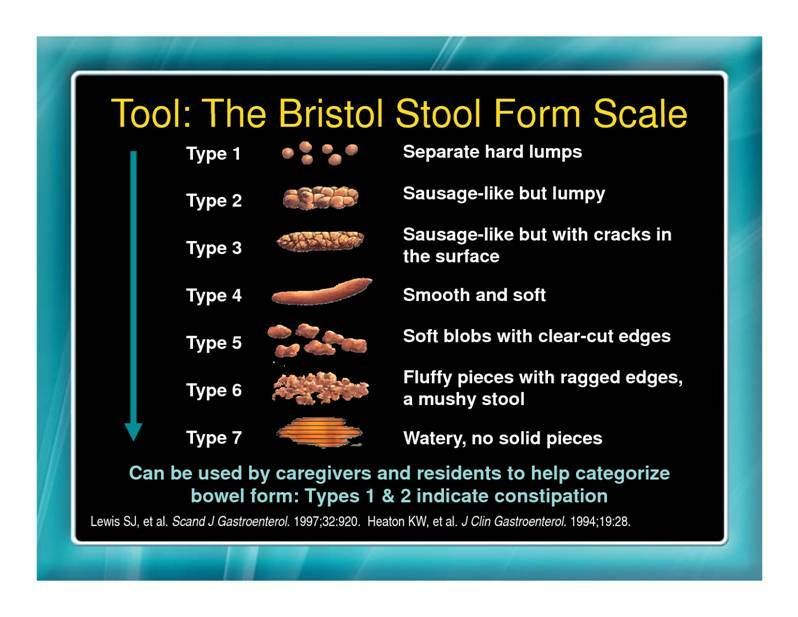 Constipation is the passing of hard, dry bowel motions (stools) that may be infrequent or difficult to pass. The most common causes of constipation include a change in routine, not enough fibre in the daily diet, not enough fluids and lack of exercise. See your doctor for diagnosis and treatment. It is important not to over-treat constipation with laxatives in place of seeking medical advice. Use the chart below to evaluate your bowl movements. Types 1 & 2 indicate constipation. In some cases, constipation is caused by more serious illnesses and events, including tumours and systemic diseases.